criticalhit.com: ATS - START HERE! 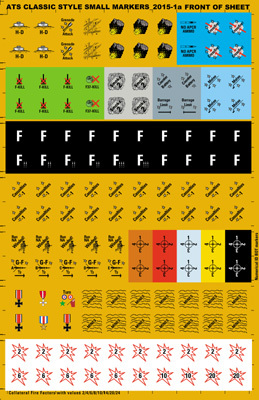 Welcome to the ADVANCED TOBRUK SYSTEM! 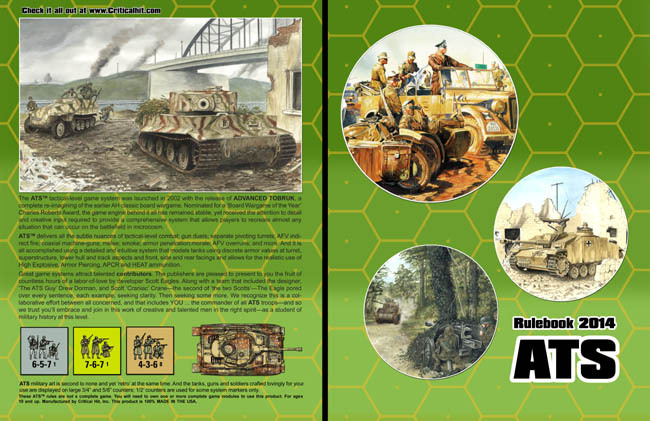 Built from the inspiration of a BOARD WARGAME OF THE YEAR, ATS was nominated for this very same award and has expanded into a popular system with over a dozen years development and going strong. 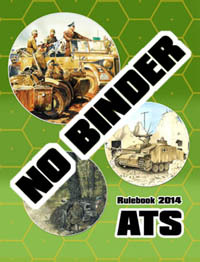 It all starts with the ATS RULEBOOK 2014 -- every historical module will require ownership of the rules and you can get them in Binder, No Binder (to help overseas customers save on postage), and Electronic (only) edition. 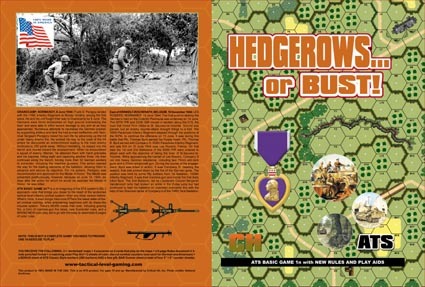 Play of ATS Historical Modules and expansions will also require ownership of one copy of the system's SMALL and one copy of the system's LARGE marker counters, plus one or more 10-sided dice. You can use the SMALL markers for ANY ATS module. 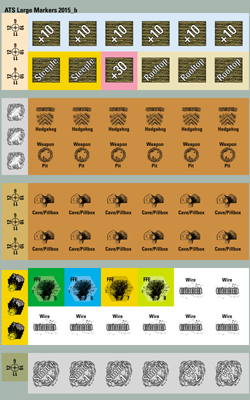 Use the Western Front LARGE MARKERS for all modules that do NOT involve Japanese combatants; the Pacific Theater LARGE MARKERS for modules set in The Pacific Theater. 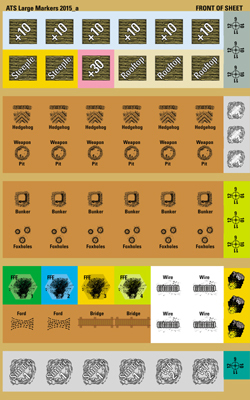 In the links for ATS Counters you'll find some addtional markers that can be used for adding level markers in larger urban settings, along with a wealth of other counter sheets for ATS. 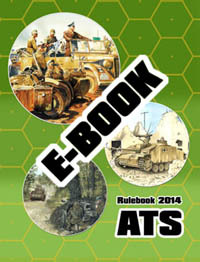 SPECIAL BONUS: When you purchase any printed edition of the ATS RULEBOOK 2014 you also receive -- AT NO ADDITIONAL COST > an electronic edition with personal use rights. This is a fully-searchable pdf rulebook that you can mark up (by adding Acrobat memos) -- and use to become an ATS expert.